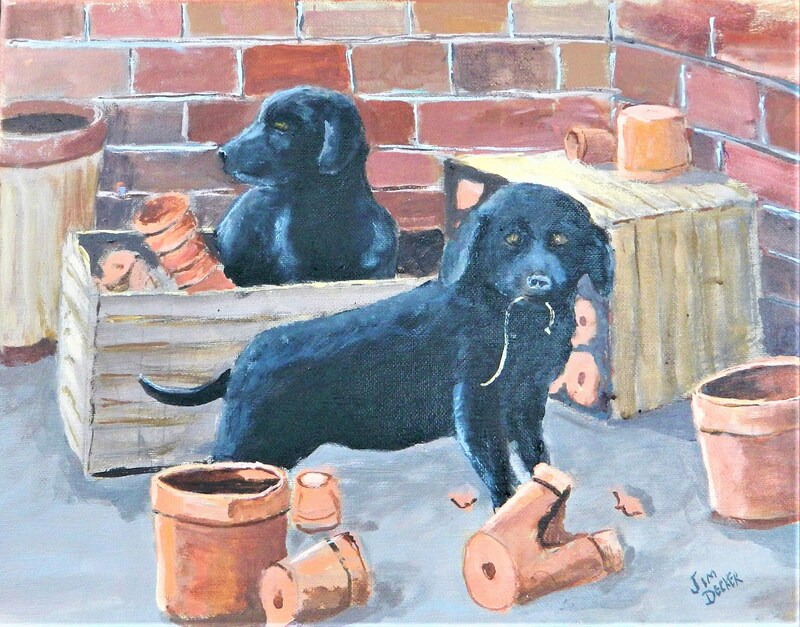 DISCRIPTION : These two black lab pups are doing what must pups do . Get into mischief. That is how I came up with the name .